ProSus magazine is a platform for exploring ideas and solutions for a more sustainable future. It showcases the voices of researchers, thinkers and storytellers, and perspectives that build bridges between science and society, between local and global realities. Latin for “forward”, ProSus is more than a synthesis of knowledge: it aims at informing, inspiring solutions and igniting conversations on how to address critical sustainability challenges. An editorially independent, non-profit magazine, ProSus is published twice a year by START International. ProSus’ very first issue explores ideas and solutions for disaster risk reduction in Asia. It features highlights from research undertaken under the Pan-Asia Risk Reduction (PARR) Fellowship program. 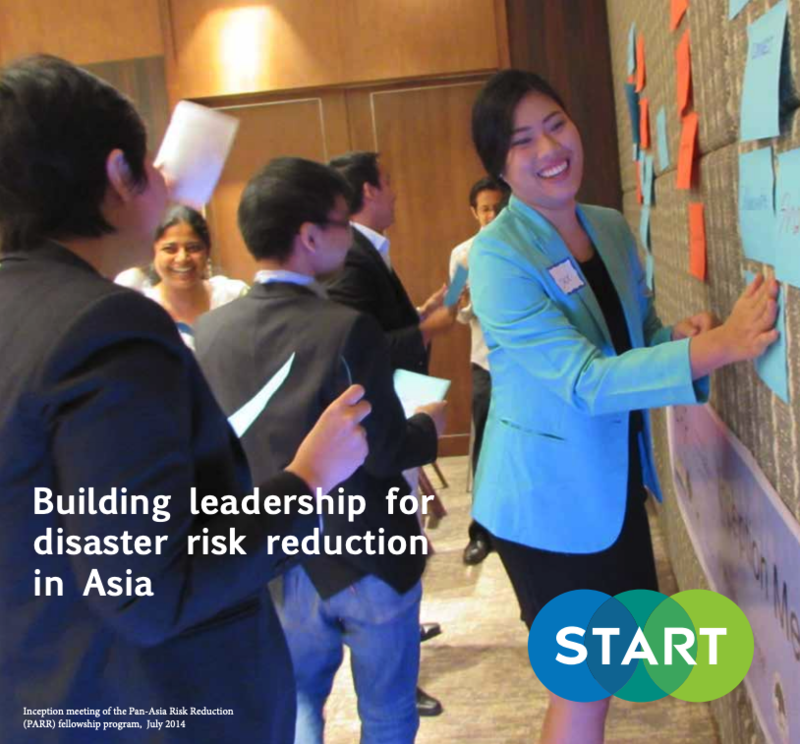 We could tell the story of the Pan-Asia Risk Reduction (PARR) fellowship program through the numbers, but numbers alone do not do justice to the footprint of the program, which has greatly contributed to building a community and establishing momentum for collaboration on disaster risk reduction in the region. Seeds of transformation can only mature when there is the right environment for innovation and participation. PARR provided a space for early-career scientists to cultivate their expertise and leadership skills, for institutions to explore solutions to regional priorities, and for local communities to engage and gain recognition through the dissemination of research outputs. We are pleased to share, in this first edition of START’s ProSus Magazine, the findings of action-oriented research conducted by the program’s 2016- 2018 fellows. Their outstanding work, with support of their institutions and all PARR partners, is contributing to the advancement of regional knowledge to meet pressing urban disaster risk reduction challenges. The PARR program has developed a network and a platform for learning exchanges and leadership development in Asia. START looks forward to continued engagement with fellows and partners and supporting and strengthening this network. The successes and lessons learned from PARR are a valuable resource for START and partners, as we look at replicating and scaling-up the model to benefit other regions as well. Congratulations to all fellows; warmest compliments to the mentors and support institutions for the excellent work done. The article brings together learning on Transforming Development and Disaster Risk by a SEI Initiative funded by Sida. The first issue of ProSus Magazine explores ideas and solutions for disaster risk reduction in Asia, highlighting research from the Pan-Asia Risk Reduction (PARR) Fellowship program. This paper considers how a rights-based approach broadens understanding of adaptive capacity while directing attention towards causes of exclusion and marginalisation. Adaptive governance as a catalyst for transforming the relationship between development and disaster risk through the Sendai Framework? This paper investigates the importance of adaptive governance for disaster risk reduction and explores the transformations needed to achieve equitable, resilient, and sustainable development. This paper takes a rights-based approach to understand how cultural, political and social norms and practices influence resilience. What are the trade-offs in the pursuit of development and DRR and what is their role in transformation? This article provides a typology of trade-off dimensions applied in a SE Asian case study.